Online discussion boards are here, whether we like them or not. Whether we’re teaching completely online or adding online discussion to a face-to-face class, online discussion boards are increasingly becoming a staple of college courses. I’ve been teaching at the university level for more than 30 years; for half those 3 decades, I’ve been teaching, volitionally, online. I’ve used online discussion boards in classes with as few as six students and as many as 130 students; I’ve used online discussion boards to augment traditional lecture courses and as a mainstay of graduate and undergraduate seminars. I’ve probably hosted nearly 5,000 online discussion forums, and I’ve observed scores of other instructors’ online discussion boards at various institutions including high schools, 2-year colleges, liberal arts colleges, and 4-year universities. Here are five tips I’ve gleaned for improving online discussion boards. Although few of us would ever consider teaching a face-to-face discussion section with 50, much less 100, students, many instructors supply only one discussion board for tens or even hundreds of students to use at once. I recently observed a colleague teaching an in-person lecture course of 100 students. Prior to each lecture, the instructor posted one online discussion board for all 100 students to discuss the lecture’s reading assignment. But when I observed the online discussion board, I saw few, if any, students actually discussing the reading assignment. Each student was required to post a comment or question, which they did. But none of the students were “talking about (something) with another person or group of people,” which is the definition of discussing. If the pedagogical goal is solely to hold students accountable for a reading assignment, then an online submission box would serve better than an online discussion forum. But if the pedagogical goal is to enable interaction and engagement between and among students about what they read, then you need to divide and conquer. Divide any class larger than a dozen students into subsections of six to eight students and create a separate but parallel discussion board for each subsection. In this way, students can more easily interact with each other, and a class of 80 can feel like a class of six to eight. 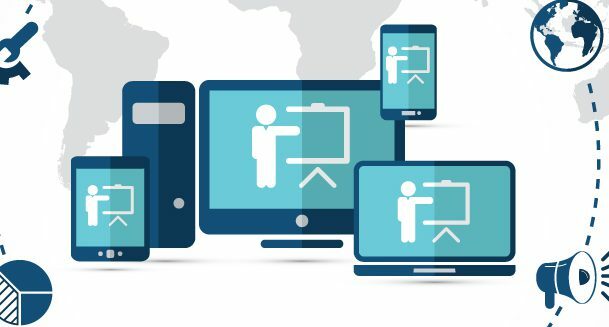 All the online learning management systems (e.g., Moodle, Instructure Canvas, Blackboard) allow students to be divided into groups — automatically generating a unique discussion board for each group. In terms of workload, it’s no more effortful to divide large classes into subsections, but for engagement, it’s considerably more beneficial. The most common shortcoming I see among instructors’ use of online discussion boards is that the instructors aren’t directive enough. Most instructors simply post a prompt and tell all students to respond. The instructors also might tell students to respond to each other. Hosting effective discussion boards requires directing traffic. You need to specify not only the what (the prompt) but also the who (to respond to) and the when (it’s due). For instance, to make effective the dual assignment of post-your-own-comment and respond-to-another-student’s-comment, create two separate assignments with two separate deadlines: One assignment and its due date is for everyone’s initial post; the other assignment and its separate due date is for everyone’s responses to other students’ initial posts. Make the due dates for the two assignments at least 1 day apart. Otherwise, there’s no guarantee that enough students will post until shortly before the first (and only) deadline. There are few things more frustrating to high-achieving students than to submit their initial post early and then have to scramble right up to the deadline while waiting for other students to post. You can be even more directive with regard to whom each student should respond to. For some assignments, I require each student to respond to another student to whom no one else has yet responded. For other assignments, I require each student to respond to the same student to whom they responded on their last assignment (or conversely, a different one). Other variations can be created, but the notion is to direct the discussion board traffic — just as one directs conversational traffic during face-to-face discussions — rather than having the students going in random directions. In wording your discussion board prompts, rather than simply asking students, “What did you think about…?”, hinge your prompts on action verbs. 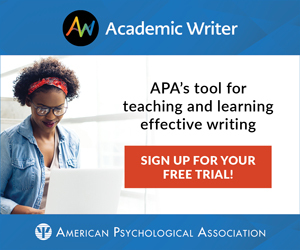 Phrasing assignments in terms of actions such as “find,” “explain,” “describe,” “identify,” and “compare” gives students a sense that the discussion board is a place where real work gets done, rather than a place where everyone sits around to shoot the breeze. Resist writing prompts for which only one response is acceptable because once one student responds correctly, there’s nothing more for other students to add. If you want to test retrieval of explicit information, consider using an online quiz or an independently completed worksheet rather than an online discussion board. That’s not to say that online discussion boards can’t query factual information, but the queries need to be varied — which leads to my next suggestion. Rather than having all students respond to the same prompt in the same way, incorporate interactivity by requiring variation in students’ responses. For instance, use jigsaw prompts. Named after social psychologist Elliot Aronson’s jigsaw classroom, these prompts require each student to contribute information that hasn’t been previously contributed (e.g., “Find a ___ that no one else has found”; “Describe the ___ in a way that no one else has described”; “Identify a ___ that no one else has identified”; and so forth). Snowball prompts also incorporate interactivity and variety. With a snowball prompt, each student is required to build onto the information that a previous student has provided. Jigsaw and snowball prompts have the added benefit of rewarding students who post early. You also can incorporate student interactivity by requiring that students respond to other students using the 3C + Q method created by Jennifer Stewart-Mitchell. On my online discussion boards, I require that students’ responses to other students always include at least two of the following: a Compliment (e.g., “I like how…”; “I like that…”), a Comment (e.g., “I agree that… because…”; “I disagree that… because…”), a Connection (e.g., “I also have read/seen/heard/thought that…”), and a Question (e.g., “I wonder why/how/who/what/when/where…”). 5. Deter Students From Parachuting Into Discussion. Most online discussion assignments are made within a larger learning context, be it a unit, lesson, lecture, or module. Unfortunately, some students try to shortcut performance by parachuting into the discussion board without having completed the prerequisite activities. Such shortcutting isn’t unique to online discussion; some students also show up for face-to-face discussion without completing the prerequisite activities. But one way to deter students from parachuting into an online discussion board is to not place the prompt in the discussion board itself (i.e., the textbox description) but instead in the larger context of the unit, lesson, or module. In my online classes, I further deter students from parachuting into the discussion board by removing completely the menu item for the discussion board from the course navigation. Instead, I embed links to each discussion board forum in my list of assignments (e.g., “Read X, watch Y, and listen to Z, then go to the Unit 2 Discussion Board and identify a…”). You have shared very useful information with us. Advancement in technology brings great change in learning process. Student feel more comfortable while learning through online resources. This is a time saving and safe method. Also, the teachers need to know some kind of behavior that should be avoided while teaching. I would love to read a book written by you, because it’s clear that you do know how to successfully teach an online psychology class. In spite of having taught several, I don’t think I’ve ever been really successful. I’m at a point in my life when online teaching would be perfect for me, but frankly, after my last couple of experiences, I’m in no hurry to do it again – UNLESS I can be successful. Are there enough of your articles available so that I could read them and learn? Or could you teach an online class in online teaching??? Morton Ann Gernsbacher is Vilas Professor and Sir Frederic Bartlett Professor at the University of Wisconsin-Madison. She can be reached at apsobserver@psychologicalscience.org.